This is a Sponsored/Compensated Post in conjunction with Santa.com and The Mom Bloggers Club, Ascending Butterfly Shares Products and Services that we feel are beneficial to our readers and all opinions are 100% my own. I hope all my butterflies had an amazing Thanksgiving! I hope this year gave you many moments of joy and amazing blessings to be grateful for. It's been a wildly mixed year for this butterfly, I think life always brings an equal mix of highs and lows. The trick is learning to ride those lows with grace while waiting for that roller coaster to ascend again. 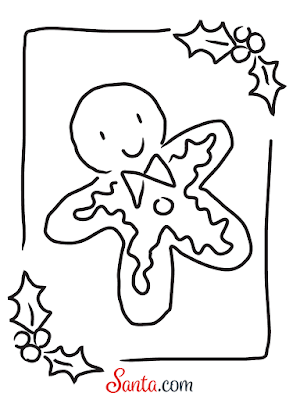 We are plunging right into that 'Tis The Season' Season. And with all the shopping, cooking and decorating it's super easy to get stressed out. Tons of stuff has gone digital, and with more kids in possession of cell phones and devices these days it's no wonder that even Santa has embraced technology - just because kids have gone hi-tech doesn't mean the magic of Christmas has to get lost. 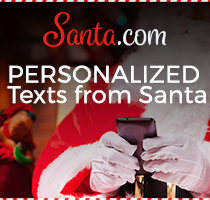 Ƹ̵̡Ӝ̵̨̄Ʒ - Text Messages from Santa - From December 1st until Christmas Day ($9.99) - Recipient will receive daily, PERSONALIZED text messages filled with Christmas Spirit, Amusing Facts, and Positive Values. 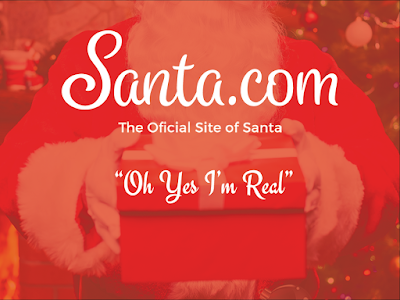 Santa.com is the oldest Santa website in existence, originally registered in 1994, it was recently acquired by start up Santa Holdings II, LLC a small, family-oriented company, comprised of four members: two parent entrepreneurs, a child educator and a software engineer. They made sure that this site is completely kid safe and focused on bringing Santa and some Holiday Magic to you and your loved ones. They also take privacy seriously, they are currently being certified by an FTC Safe Harbor Program to ensure FTC privacy and security requirements for sites that provide content for children under 13. 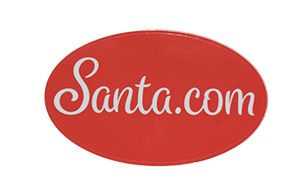 I am partnering with Santa.com and Mom Bloggers Club to bring you some fun ways to bring some holiday magic to you and your littles this holiday season! 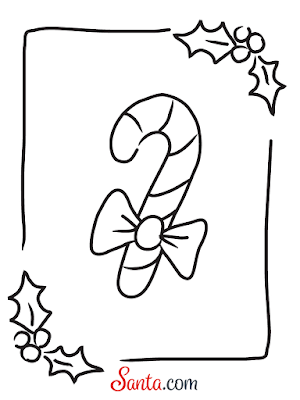 Want some Printables? Here you go! Above: Just right click on the teddy bear and hit Print! 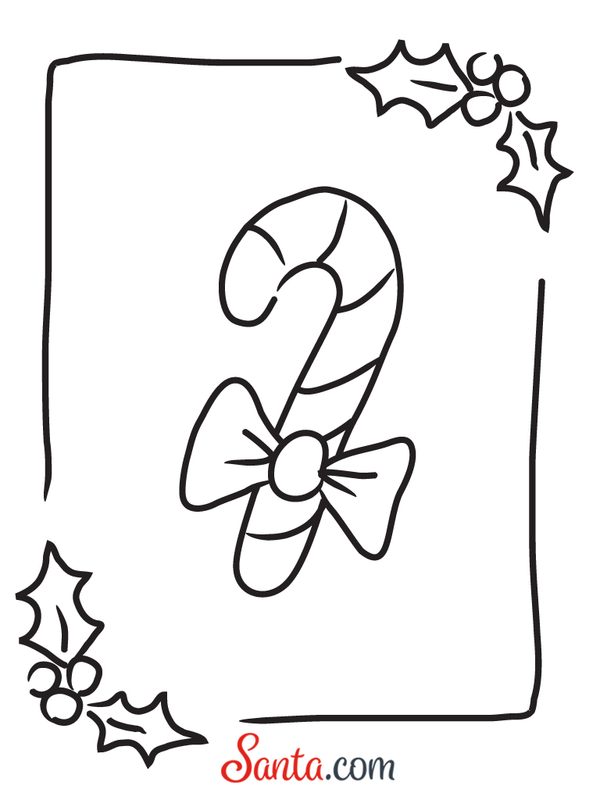 Above: Just right click on the Candy Cane and hit Print! 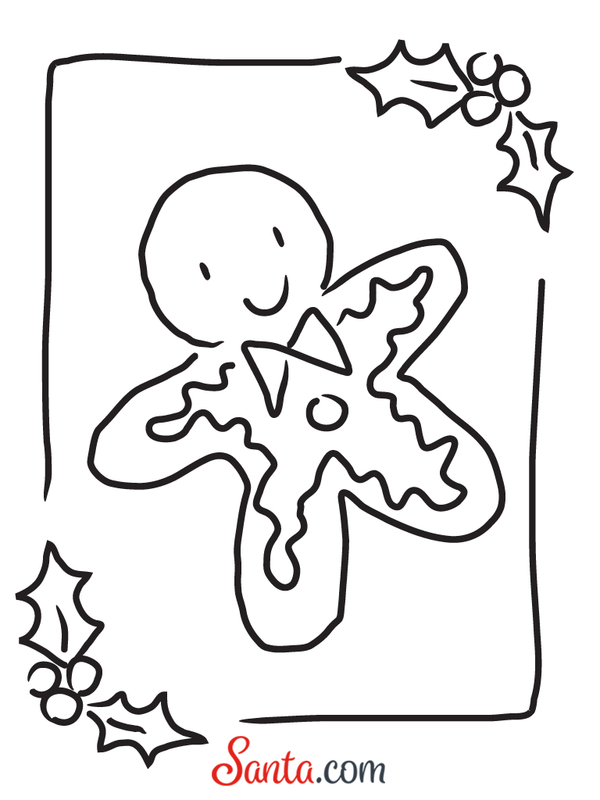 Above: Just right click on the Sugar Cookie and hit Print! 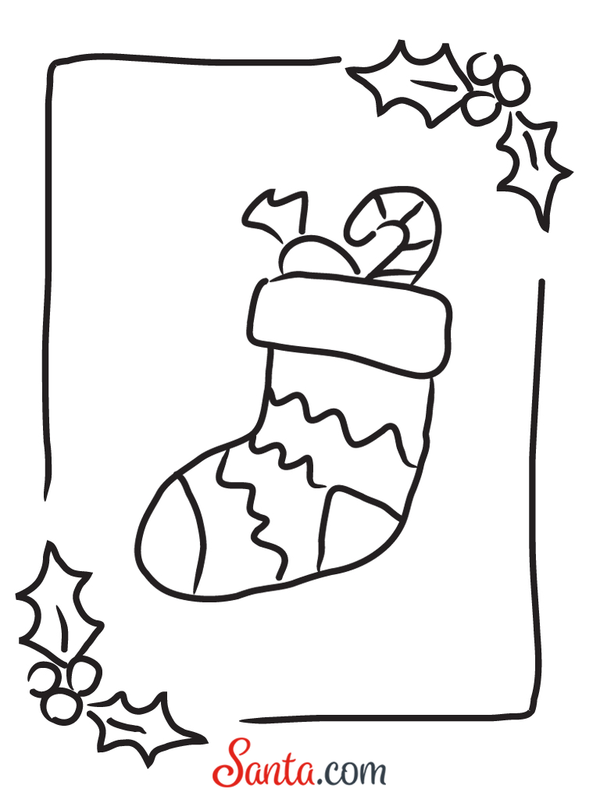 Above: Just right click on the Stocking and hit Print! 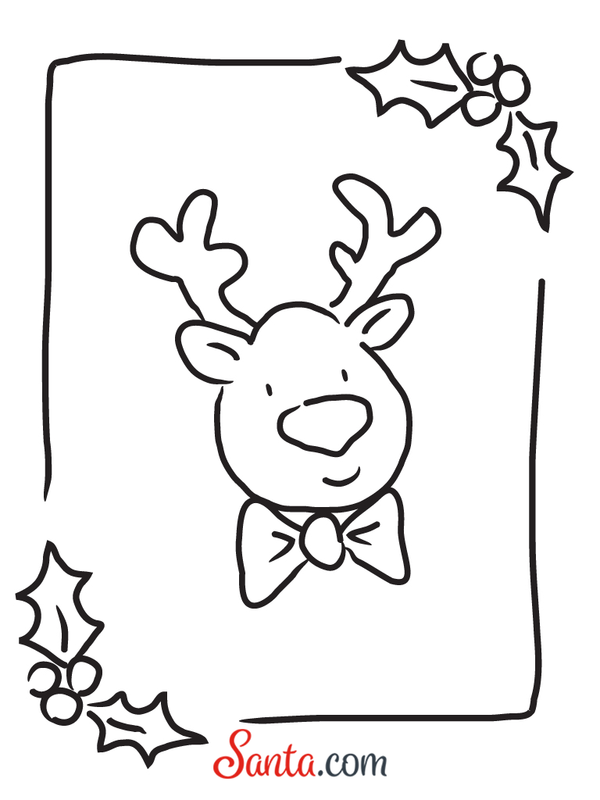 Above: Just right click on the Reindeer and hit Print! Above: Just right click on the snowman and hit Print! 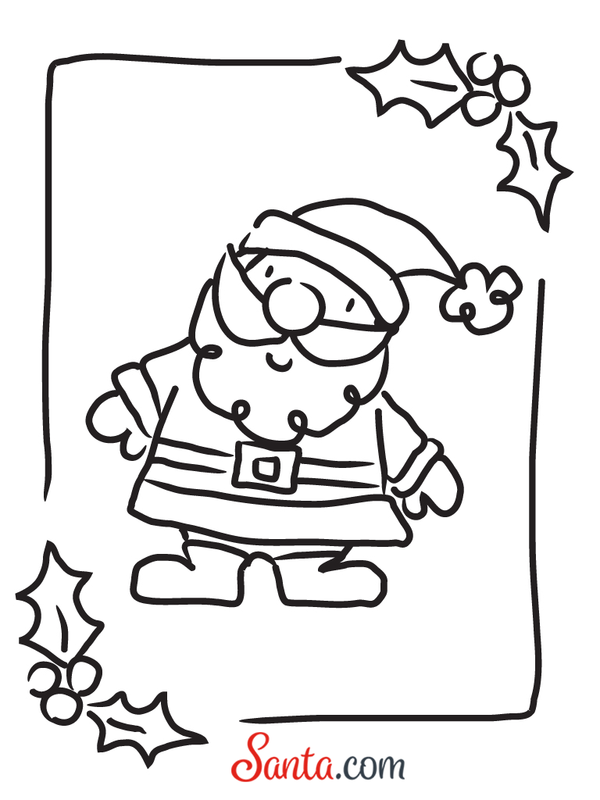 (2) With the app open visit Santa.com and hover over the images on the site. 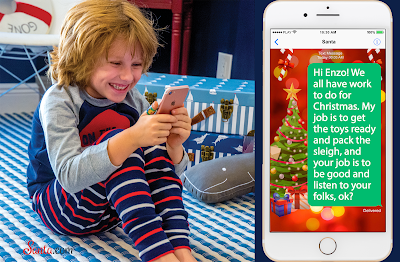 I was watching a movie a few weeks ago where a little boy receives a text from Santa, and shortly after this campaign hit my inbox, coincidence? I think this is one of the greatest ways I have seen where tech doesn't take away from the magic of being a kid but actually enhances it, and that's quite rare these days. I have quite a few Radko Collectible Ornaments on my tree and each one has it's own memory behind it, so I thought it was actually pretty neat that a Christopher Radko Ornament is being included in this prize package. Spill Butterflies: What was your all time favorite gift from Santa? FTC Disclosure: This is a compensated post, all opinions are 100% my own! I am disclosing this in accordance with the Federal Trade Commission 16 CFR, Part 255 - Guides Concerning the use of endorsements and testimonials in advertising, you may check our Giveaway & Disclosure Page for additional information regarding Ascending Butterfly Disclosure. Things that lure this butterfly out of her cocoon: Technology, Travel, Fashion, Beauty, Spirits (Sparkling, Champagne, Prosecco, Sake, Bourbon, Craft Brews), Foodie Fun - really I'm such a *simple girl*. That is so crazy cool! Technology has really come a long way. I can't think of anything better for a kid than actually getting to "talk" with Santa. Love these printables! 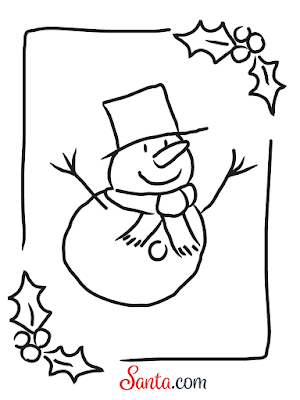 A fun time spent with the kids coloring. Best part is you can print off more! So many ways to enjoy the holiday. 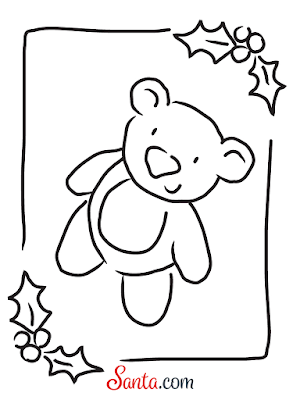 Thanks for all the printables I'm sharing them with my niece. I love this idea! Being able to get a text directly from Santa has to be just about the best thing for any kid. Thanks for the printables! What a great giveaway. I can't believe there's a Christopher Radko Ornament in the package. These are truly collectible ornaments and I have a couple of them and they're not cheap. Thanks for the giveaway. What an awesome service and giveaway! 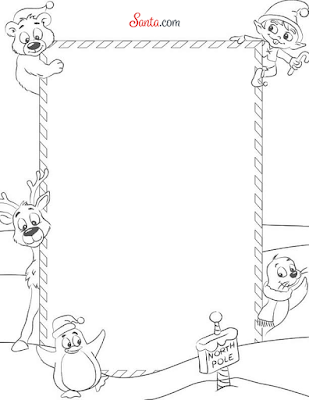 I love the printable coloring pages, I will have to print those for the kids. Love the Printables and I"m a big fan of Christoper Radko Ornaments ,and being able to get a text directly from Santa has to be just about the best thing in the world for X-MAS ,thanks for the giveaway here's hoping !! This is amazing! I love the printables so much and this program is so neat! I love that the kids can talk to santa. What a great giveaway. I sure love this time of year. 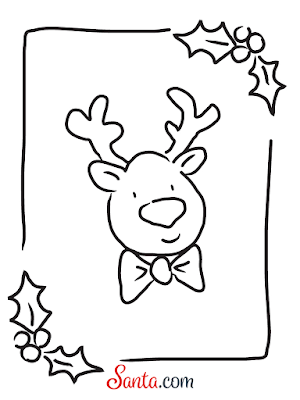 Those printables are nice too. I should print them out for my girls. 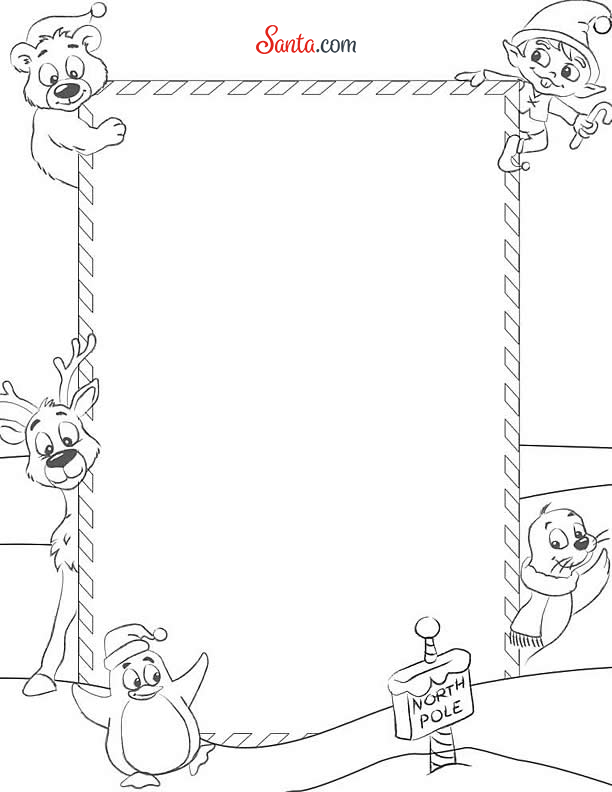 I think that's such a cool idea for the santa thing. Things are definitely more digital these days! These printables are awesome! Thank you so much for sharing! I love this time of year! This is such an amazing giveaway. 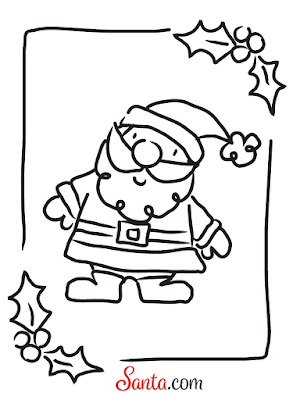 I loved receiving a letter from Santa before Christmas. I have to look into this for my kids this year. I remember doing something like this with my daughter when she was younger. And she really loved it. It convinced her that Santa was real. And it was such a great experience for her. So many goodies in the giveaway bag. Especially for those boys and girls that believe in Santa!